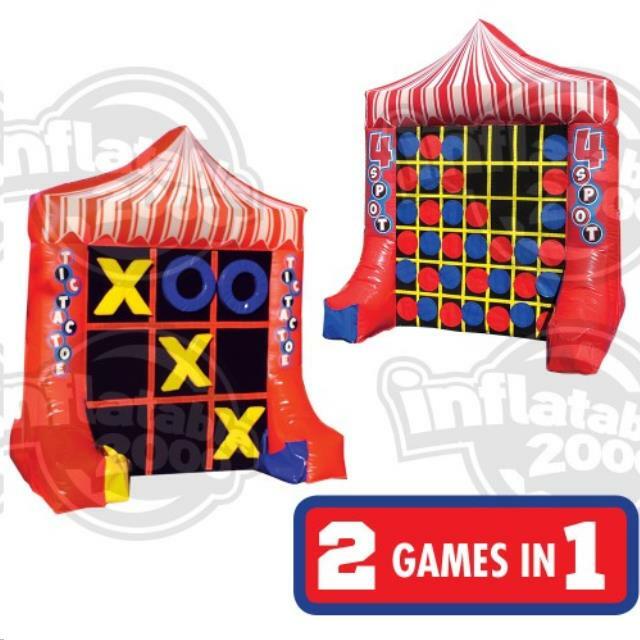 Inflatable two sided game that has 4 spot on one side and tic tac toe on the other. Comes complete with blower, 5 blue O's, 5 yellow X's, 21 blue discs, and 21 red discs. Great game for school functions, picnics, birthday parties...just about any event. * Please call us with any questions about our inflatable 4 spot/tic tac toe rentals in West Bend, Hartford, & Milwaukee WI.